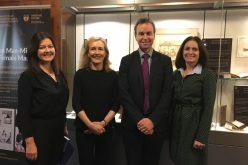 The Irish Society for Clinical Nutrition and Metabolism (IrSPEN) hosted a round table discussion on the role of lifestyle factors, including nutrition, in preventing cancer and improving outcomes in treatment. How informed do you think the general public are around the role of lifestyle factors, including dietary habits and exercise, in the risk of developing cancer? The knowledge we have about diet and cancer is growing all the time. We know that poor diet and obesity is a risk factor for cancer and a significant number of cancers relate to obesity but research has shown that this is not widely known and only a third of the public are aware that obesity is a risk factor for cancer. There is an increasing awareness of lifestyle factors in relation to cancer but that is more likely to be about smoking and UV radiation. We need to do a lot more public awareness about risk factors such as being overweight, poor diet, lack of physical activity and alcohol. Research recently undertaken in Ireland shows there is a stark lack of awareness, almost a surprise, that alcohol could be related to cancer and I believe the same goes for obesity. The message around the health risks from obesity is largely focused on diabetes and heart disease and not on cancer. Currently our awareness of the cancer risks related to obesity is similar to where we were with smoking 10 years ago. The message of obesity and exercise is heard through the prism of heart disease and diabetes but that is not a bad thing. It is not a case of cancer competing with diabetes but more about saying to people, ‘you do these couple of things right and not only can you do a lot to prevent heart disease and diabetes, you can also reduce your risk of cancer’. It is about pooling resources as people will only hear so many health related messages. This has improved in recent years due to significant media attention. The message in relation to obesity and type 2 diabetes mellitus and cardiovascular disease is getting out there, with some increased awareness of the link to cancer. However, the message is not reaching all levels of society, and certainly where I work I still see huge numbers of patients with morbid obesity, most of whom also smoke, and for many the message is just not getting through. Whatever about short term measures, I would welcome a longer term strategy that introduced matters with public health, including smoking, alcohol, and nutrition, into the education system at an appropriately early period. Beyond health promotion and cancer prevention, there also needs to be more research done to improve knowledge of the importance of dietary habits, exercise and nutrition in the management of cancer once you have it and are facing difficult treatments or in survivorship. People don’t make the link between diet and cancer. We should build on the message around obesity and diabetes and heart disease. There is a protective health message around nutrition and physical activity and we have a lot more work to do on that. There will be a new obesity strategy and a national physical activity plan with targets for rolling them out. Both offer the opportunity to include the key message around the protective element of good nutrition and there is a public awareness challenge to make people aware of this. Public awareness is probably improving but better awareness alone doesn’t necessarily mean that people will take the advice on board. Younger people often think public health messages around prevention don’t apply to them, so tailoring the message to different segments of the population and making healthy, active living more attractive and accessible is key to success. 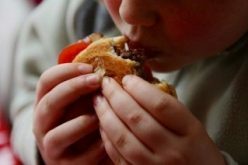 We certainly need to do more to tackle obesity given that over 60 per cent of adults are overweight or obese. Intakes of fruit and vegetables need to be higher although it is good to see that personal exercise – cycling, walking, going to the gym – appear to be on the up based on the last Sports Monitor, although many of us are still not active enough. On the other hand, we need to do a lot more to ensure that people that are diagnosed with cancer have appropriate information about how to prevent weight loss and muscle wasting. Getting the message across on the one hand that obesity is a risk factor for developing cancer but that people with cancer should aim to maintain weight unless specifically advised to do so under supervision, is clearly a challenge. With nearly two thirds of Irish adults overweight or obese, how will that impact on their disease management and outcomes? Unintentional weight loss is occasionally the first sign of cancer, it is very common for many cancer types, and cancer treatments, including surgery, chemotherapy, and radiation therapy may be associated with further significant weight loss. If a patient is overweight or obese to begin with, the impact of weight loss can be of little concern to them, however significant loss of muscle mass (sarcopenia), often seen with cancer, impacts on quality of life, ability to tolerate chemotherapy and surgical complications, and is easily missed in this type of patient. More complications of treatments, and reduced cure rates, are also associated with increased health costs. HRB funds a lot of cancer research. It has always been the biggest area of funding and the vast majority of that goes into treatments but there is an increasing interest in things like nutritional strategies, in the context of prevention and during treatment, and then long-term into survivorship. It is not just about helping people survive but we also want people to survive and be well – and keep themselves well. When we have traditionally been designing cancer services we used to think solely about surgery, radiation, oncology and chemotherapy. It doesn’t stop there anymore. It is not just about doctors and nurses but you now need a much broader team – dietitians and nutritionists are now an essential part of cancer care. Cancer management is now very much focused on specialist teams providing expert care for specific types of cancer, there is a virtuous circle of shared knowledge and experience through this multimodal model that benefits the particular population of patient with a particular complex cancer, in my case oesophageal and stomach cancer, but also applicable for many complex cancers, for instance lung and pancreas. Modern best practice provides patients with access to not only specialist doctors but also specialist nurses, dietitians, physiotherapists, speech and language therapists, and so on, all who understand the experience and challenges of these patients and have experience and knowledge to positively impact on their care. That is relevant right across the system from primary care services to services for the frail and elderly. Obesity and diabetes are well recognised but malnutrition is a new topic for a lot of people including senior management. In some ways it is more important than obesity. It is a dual message: obesity is a risk factor for cancer and we encourage people to maintain a healthy weight. On the other hand weight loss associated with a cancer diagnosis affects outcome. These are different population groups. Dietetic assessment at the time of diagnosis is important especially for abdominal cancers where unintended weight loss may be a factor. The NCCP is currently preparing referral guidelines for pancreatic cancer and a dietetic assessment is a key component. I agree we need to put more resources into primary care as hospitals are not always the right place to deliver care. Primary and community care has a huge role to play in cancer prevention, early diagnosis and survivorship. Another related area is behavioural change. The messages are clear and we are fully aware of what we should be doing, but we are not doing it ourselves. Having a message is one thing, but translating that into a change in behaviour is quite another. There are strategies and plans within Healthy Ireland to make every patient contact count and that will include monitoring weight. Making healthy choices and lifestyle change has to be easy for people. Unfortunately, down through the years a sedentary lifestyle and eating the wrong food has become ingrained in what we do. It happened slowly and the solution will also happen slowly – it will not be a big bang. The Healthy Ireland Framework and the Health and Wellbeing Directorate of the HSE is the right approach to build in lifestyle changes across all society. Government clearly has a role to play. It is the biggest employer in the country and it has to be everyone’s business within the whole public sector. We need to work hard to clarify the message so that all health professionals that come into contact with cancer patients are aware that unintentional weight loss needs to be acted on, even when the patient is overweight. 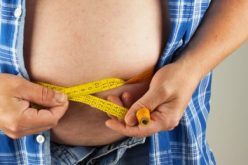 The challenge is that weight loss may go undetected for some time in overweight and obese cancer patients because they don’t look malnourished, and they themselves are regularly unconcerned at losing several kilogrammes body weight as they may have been unsuccessfully trying to lose weight for years. What I don’t think is appreciated is that even relatively small amounts of weight loss have been found to be associated with poorer outcome – poorer tolerance to chemotherapy, more frequent hospital admissions and significantly reduced survival. International data has shown that cancer patients that lose more than 10 per cent of their pre-illness weight have mortality rates that are significantly higher than weight stable cancer patients, yet the majority of patients seen in oncology clinics and referred for the first time to a dietitian will already have lost significant amounts of weight. This needs to change – we need a far more proactive approach to nutritional care in cancer and the aim should be to prevent losses, not wait until they are difficult to treat. There are three strands to this issue. The first is the obesity message in primary care, GPs are increasingly in tune with that, and Healthy Ireland and the HSE initiative on Nutrition and Hydration will I expect have further impact. Secondly, weight loss is a possible sign that someone has a cancer. That is a more difficult area, but GPs should be savvy to that. The third concern relates to patients with a diagnosis of cancer who are going to lose weight throughout their treatment and beyond. 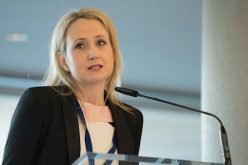 Here one of the biggest advances in cancer care in recent years has been the recognition and development of the role of the cancer specialist nurse, likewise we should recognise that specialist dietitians also have a major impact, not only in hospital but in the follow up setting in out-patients. This latter highly specialist function cannot really be devolved to primary care or the community. The early diagnosis of cancer is key and there are a couple of steps to that. The first is that people are aware, recognise suspicious symptoms, are encouraged to go to a GP, promptly, who will order a test, which is done quickly, that leads to diagnosis when the disease is at an early stage. There are barriers at all stages of this pathway. Research has been done around people who, even though they recognise suspicious symptoms, they still do not take action. Why? They may hope the symptom will go away; or they may feel nothing can be done; or they don’t trust the health service. In addition, there are access issues to diagnostic tests. In the UK, there have been very effective and simple public awareness campaigns such as the ‘Be Clear’ campaign. These campaigns focused on one symptom, one cancer, one action. For example, for lung cancer they had a very successful multi-media campaign – ‘are you coughing for more than three weeks? Could it be lung cancer? Go to your GP’. A very clear message with one clear action and there was a resultant increase in the numbers of lung cancers diagnosed early and that were suitable for surgical treatment. If we are looking to make professionals more aware of nutrition we need to keep it simple for them also. If it is too complex, then it will not happen. We need to make it routine in their work. Greater emphasis needs to be placed on weighing or screening patients at every contact point – including primary care settings – since unplanned weight loss, even if cancer is excluded, is never something that should be ignored. Weight loss in cancer is a very complex process as the cancer itself produces hormones that lead to breakdown of muscle and fat while the release of inflammatory mediators suppresses appetite and reduces muscle protein synthesis. The combined effect of these changes can be rapid loss of lean tissue and weight loss over a short period of time. It’s a huge challenge to maintain weight and muscle stores when patients are cachexic, and an even greater challenge to increase body weight. However, by picking up weight loss and intervening earlier, providing nutritional support if necessary, you can ensure that the patient remains strong and better able to withstand the effects of medical or surgical treatment. Waiting is never a good idea. The HRB has a focus in our research strategy on healthcare interventions spanning everything from drug trials to pathways of care. Research funded by the HRB could include how people are referred and public health interventions about prevention. What can be done to best support people with cancer both during their treatment and afterwards in survivorship? Accessibility to services throughout a patient’s cancer journey is key. We should have the pathways to care in place, ensure proper training of staff and then ensure access to those services. One of the key things is having a multidisciplinary team in place that includes specialist nurses, dietitians and physiotherapists etc. There are shortages in some areas and in many specialties. There are also shortages in diagnostic personnel e.g. radiography which can lead to problems in accessing a test early enough. Are there enough dietitians coming out of training to meet the needs of the services? 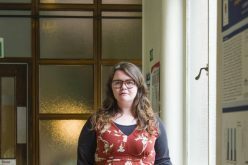 At present there are 455 dietitians within the health services and out of those there are 35 specialists in cancer centres and 145 of that number in the community, who see everything from babies to frail elderly people in nursing homes. We certainly don’t have enough to meet the growing need. The important thing in nutrition is that all health professionals can give some nutritional advices and dietitians have a key role in training up GPs and cancer nurses. It is similar to brief intervention with smoking, where every health professional has a role. That is true but it does move very quickly from an initial screening, recognising someone has had a significant weight loss and giving them some front line advice to them needing specialist input with someone who can do a full assessment and advise them fully. It is about knowing when to refer the patient on to the specialist. The biggest risk factor for cancer is ageing. Currently in Ireland there are around 500,000 people over the age of 65 and that will grow to 1.2 million over the next 15 years. Therefore we could see a doubling in the number of cancers. This is a work force challenge for every speciality. There is still a significant gap in the number of specialist dietitians. A doctor can give some advice and encouragement but it really is the dietitian who has the expertise to go through nutritional assessment and management in great detail and have a much greater impact on the patient, particularly with some of the more complex cancers, for instance head and neck, oesophageal, stomach, pancreas, and bowel, and in patients with any cancer who are continuing to lose weight. New structures relating to nutrition are also of value, in St James’s Hospital for instance we have set up a weight loss clinic were patients with upper gastrointestinal cancer who continue to lose weight are studied, this is led by dietitians, and all factors including malabsorption, body composition changes, pancreas function etc. are studied and managed accordingly. Such an initiative has provided enormous value to our population of at risk patients. There are many myths out there as to how cancer outcomes can be improved by alternative diets, but the fundamental issue is that weight loss has a huge impact on a patients QOL, and medical research has shown that patients losing lots of weight find it much more difficult to tolerate their cancer treatments, such as chemotherapy, and consequently have a reduced survival. This needs to be far more widely appreciated. 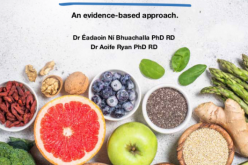 The evidence now supports the fact that nutritional care should be started alongside medical care but right now, possibly because nutrition is not recognised by health professionals as important to outcome, nutritional screening is not being carried out routinely at the time of cancer screening or in outpatient clinics, leading to delay in diagnosing unintentional weight loss and in referring the patient to the dietitian. In fact, data from a study by Professor Declan Walsh’s group from 175 patients suggested that as many as 1 in 3 patients referred to the dietitian in five tertiary referral centres were ‘late’ referrals, with a missed opportunity identified in 40 per cent of patients referred with curative intent. So clearly, if we are to improve the care that patients receive, we need to address the myths in the press, place far greater emphasis on nutritional care within the cancer care pathway, starting with routine nutritional screening and monitoring of weight in both primary and secondary care settings. What one key initiative do you believe will significantly improve outcomes from cancer over the next five years? There is a leadership role for the next National Cancer Strategy and I believe that the Public Health (Alcohol) Bill is also important and now needs to see the light of day. Care planning for survivors is important and everyone on a cancer journey will have a survivorship plan as their treatment doesn’t just finish with radiation, oncology, surgery or chemotherapy. The biggest thing we can do to improve the outcome for someone with cancer is to diagnose them early. In Ireland the bar is set too high for GPs ordering tests for someone who has come to them with a symptom. There are new guidelines from the National Institute of Clinical Excellence (NICE) whereby for every 100 patients who require a test 97 will not have cancer. It is only by lowering the threshold for testing, in line with these NICE Guidelines that we will ensure the 3 out of 100 referrals will be diagnosed early. We need to do more in diagnostics and GP access to diagnostics. There are a lot of things we know we should be doing and there are other things where we still need to build the case by generating an evidence base for interventions and for ways of delivering services. This is going to be really important – being able to say more than ‘this is my gut feeling’ or ‘from my professional experience’, to actually here is the evidence for making that decision around those resources. Research and the underpinning evidence will help develop the system further. Firstly, I would like to see more outcomes-based research as part of the national cancer focus, this to date has mainly focused on process rather than on outcomes. Every team who looks after cancer patients should know their outcomes, in particular cure rates stage for stage, and complication rates, and patients should only be linked with providers of optimum outcomes. In addition, I hope the good work on smoking continues and we will begin to witness an impact of this on survival rates. Also, as mentioned, increased numbers of highly specialised professionals working in teams will have great impact, and the need for investment in the training of more specialist dietitians and physiotherapists is compelling, as well of course as specialist nurses and doctors. Finally, continued investment in research in quality themes close to the patient, including nutrition and physical exercise, will have value, both in cancer prevention, cancer therapy, and survivorship. We have to put the patient at the centre and to improve outcomes our services need to be doing what we know they need to do. We need to have nutrition screening and assessment in place with the right services at the right time in the right place. Food and nutrition needs to be given the same level of importance as other services as it hugely impacts on outcomes. 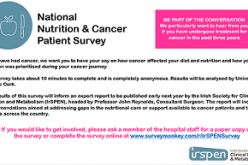 IrSPEN will be producing a report on nutrition in cancer later this year and it will focus on the need to integrate nutritional care into cancer care pathways to ensure that every patient has access to the right information, support and services, from diagnosis through to survivorship. 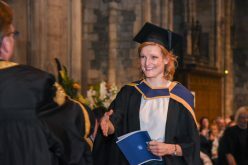 HCP education around the importance of good nutritional care is also critical and we are involved in planning initiatives in the area of both under and post graduate education. It may be that we need to have standardised information and support packages, based on best available evidence and consumer testing. 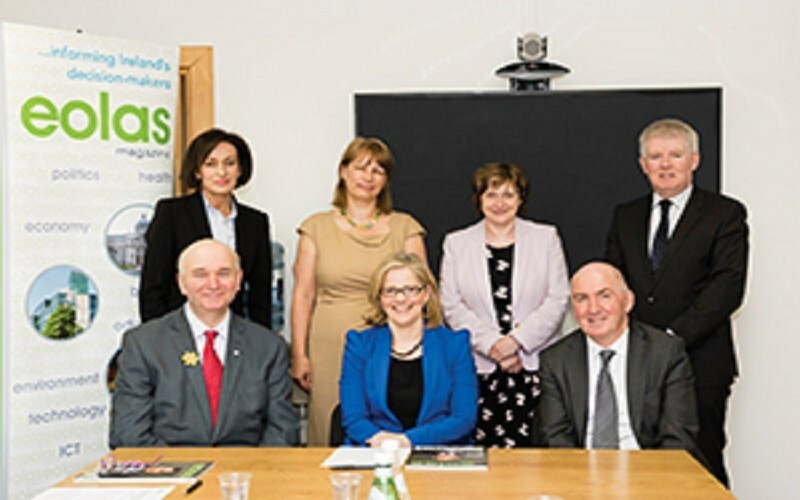 However, we also will be highlighting the gap in services within the report – with over 123,000 people living with cancer, 20,000 patients with invasive cancers diagnosed in Ireland each year and just 35 dietitians linked to cancer care, we will certainly need more access to dietitians to see patients earlier following screening and to provide training to other health professionals.